Young people aged 12-17 can get involved with the running of the farm through our ‘Young volunteers’ programme. Young Volunteers provides the opportunity to learn about animal care, food growing, environmental education, rural arts, enterprise, charities, volunteering and more. The young volunteers sessions run every Sunday from 1-4pm. This information sheet gives a summary of the kind of activities and projects that take place. Before attending, young volunteers must complete a registration form. Section B must be filled out by the young person’s parent/carer. Please email tiffany@stepneycityfarm.org for a registration form. Once the registration form has been filled out, young volunteers need to attend an induction the first time they come along. Inductions take place at 12.30 pm every Sunday. The sessions are led by experienced youth workers and adult volunteers. We are reopening our work experience program for 14-20yr olds as part of ‘Young London Inspired’ the Mayor of London’s fund for volunteering and youth social action projects which promote wellbeing and emotional resilience. We are excited to be able to offer 10 placements over the year. These will be allocated through a referral program and application process so that we can reach young participants who can benefit the most from the opportunity. 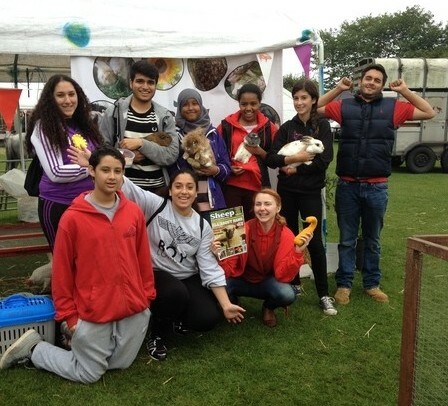 More details soon but for now, please contact Alex Collings, Youth Programme Manager on alex@stepneycityfarm.org for more information.